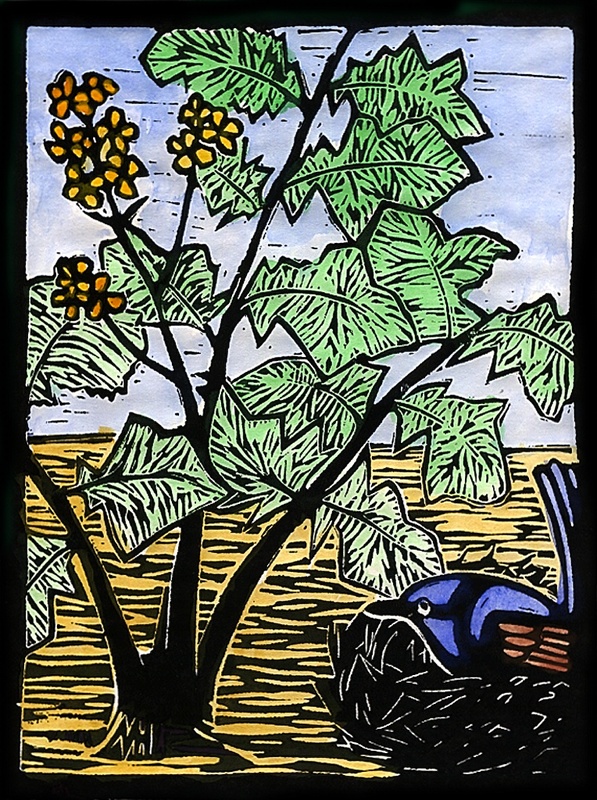 Parable of the mustard seed growing into a large shrub. Mark A Hewitt 1999 Lino cut & water colour. This entry was posted in Pentecost, Year B and tagged Parable on June 15, 2012 by Mark.